NEW: Sharon's book, Practical R for Mass Communication and Journalism, is available from publisher CRC Press and Amazon. See six chapters online here. Sharon Machlis has been an online content pioneer since before the World Wide Web, with a strong career interest in the intersection of journalism and technology. Sharon is equally at home analyzing data, coding tools for journalists, and writing about tools for data visualization and analysis. She has worked on data projects such as analyzing tens of thousands of tech visa applications. She has also taught both R and general data visualization at ProPublica, Investigative Reporters and Editors' Computer Assisted Reporting conferences, Boston University, American Society of Business Press Editors webinars, and a national Journalism and Women Symposium. She is currently director, editorial data & analytics at IDG Communications, publisher of tech Web sites such as Computerworld, CIO, and PC World. She was previously executive editor, data & analytics at Computerworld, an award-winning technology Web site serving more than 3 million unique visitors each month. She helped lead Computerworld's transition from a print-centered to Web-focused editorial team, providing skills training to the staff and implementing key cultural and process changes. Sharon has won numerous awards, including the 2014 ASBPE national gold award for impact/investigative online excellence (see story) and the 2014 and 2017 ASBPE national golds for best how-to article (see 2014 and 2017 winners). During her tenure as first online managing editor and then executive editor, Computerworld.com won almost every major editorial online award in business-to-business publishing, including ASBPE best Web site, MIN best of the Web, and the Jesse Neal Award for best Web site. She has worked full time on the Web since 1999. She was previously a senior editor at Design News, where she won a Jesse Neal certificate of merit for a 10-page cover feature on engineering in the Soviet Union and a Cahners gold medal of excellence for best technical feature. 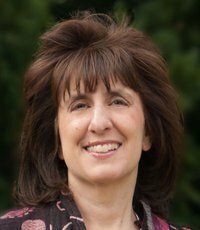 Sharon began her career as a reporter, technology columnist, and business editor at the Middlesex News, a daily newspaper in Framingham, MA (now the MetroWest Daily News). While there, she set up "one of the earliest online transmissions of news from a newspaper to its readers" in 1987 (see Fred the Computer). She was selected as a Davenport Fellow and spent a month at the University of Missouri studying business and financial journalism. She is a graduate of the State University of New York at Binghamton, completing the usual four-year B.A. program in three years. Sharon holds an Extra-class ham radio license and was honored by the Association of Radio Amateurs of Bosnia & Herzegovina "for extraordinary contribution to transmitting humanitarian messages of the citizens of Bosnia-Herzegovina" during the 1992-95 war. She currently runs several community-service Web sites, including FraminghamEvents.com and District2Framingham.com. In addition, she coded and updates the Framingham Events Alexa skill. Sharon's other hobbies include photography, travel, hiking, snowshoeing, and classical piano. And, she's somewhat obsessed with the R programming language. You can follow Sharon on Twitter @sharon000 or Google+.